mPHR vs. SCR: will patients end up with better notes than their doctors? The acronym mPHR has been very popular across health care social media channels in the last few days (covered in mobihealthnews, Healthcare IT News, Mobile Marketing Watch, Mobile Health Watch amongst others). Abbreviating mobile Personal Health Record, mPHR has been a trending topic following a recent report issued by Deloitte Center for Health Solutions. mPHR – a killer app? Twice as many Gen X and Y consumers want to access and maintain their PHRs using a mobile device than do Baby Boomers and Seniors – indicating that younger generations are more likely to manage their health using MCDs [mobile communication devices]. Fifty percent of consumers want a personal monitoring device to alert and guide them to make improvements in their health or treat a condition. Approximately six out of ten consumers (57 percent) want to access an online PHR connected to their doctor’s office. Skim reading the Deloitte study, you would come away with the belief that patient EHRs are fairly commonplace in the USA, suggesting the UK’s beleaguered attempts at the Summary Care Record look decidedly Mickey Mouse. But dig a little deeper into the Deloitte report and things aren’t quite so rosy. A single technical standard has eluded the fragmented US health care sector, and only a third of doctor’s offices use EHRs. Consumer demand for PHR is weak: when polled, 61% of Americans said they do not believe they need a PHR. So perhaps the UK isn’t that far behind the USA in moving records from paper to computers: with 2.6million SCRs on the system, and another 29.8 million (as of 20/Aug/2010) in the pipeline, England is rapidly approaching 60% coverage. But the NHS Summary Care Record might not materialise as the information revolution for health care in England that was so strongly touted at its conception. It is regularly reported to be behind schedule and over budget, and is currently under review by a new government looking to find £20bn of “efficiency savings” which favours a more patient orientated approach to health records (see section 2.11 of the Equity and excellence: Liberating the NHS white paper). It has also gathered a sizeable amount of criticism from its potential future users: doctors and patients. So if the SCR does face the axe in the face of these challenges, or receives a re-think that adds a few years of delays, could mPHRs fill the void? There’s a clear logic to patients being encouraged to manage their own care wherever possible. Take long-term conditions (e.g. diabetes, asthma, coronary heart disease): in England they impact 15.4 million people and consume 69% of the primary and acute care budget, and are most effectively managed through patients taking responsibility every day to monitor their own health. Mobile phones could be the best tool for such patient management. Imagine a diabetic being regularly prompted to enter a blood sugar reading into their mobile device, which subsequently alerts the patient or their clinician of data that falls outside set tolerances. Its not that far fetched – services such as this are already being trialled. Maintaining a PHR via a mobile could prove a smart way to save £££s as well as lives. 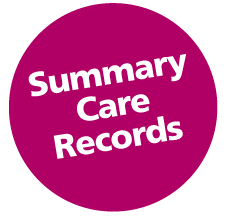 It might also be the perfect antidote to patient privacy concerns that will likely stigmatise the SCR for years to come, putting patients in control of their own data, fitting with the new government’s policies. Perhaps patients will end up with better electronic notes than their doctors? This entry was posted in News and tagged Deloitte, LTC, mPHR, SCR. Bookmark the permalink. O2 privacy failure: is your mobile number being shared when browsing online?